The ThunderLeash is a no-pull product from the makers of the ThunderShirt. This is an easy-on, easy-off convertible gadget that can also be used as a regular leash. It is available in three sizes to fit tiny, small, and regular-sized dogs. 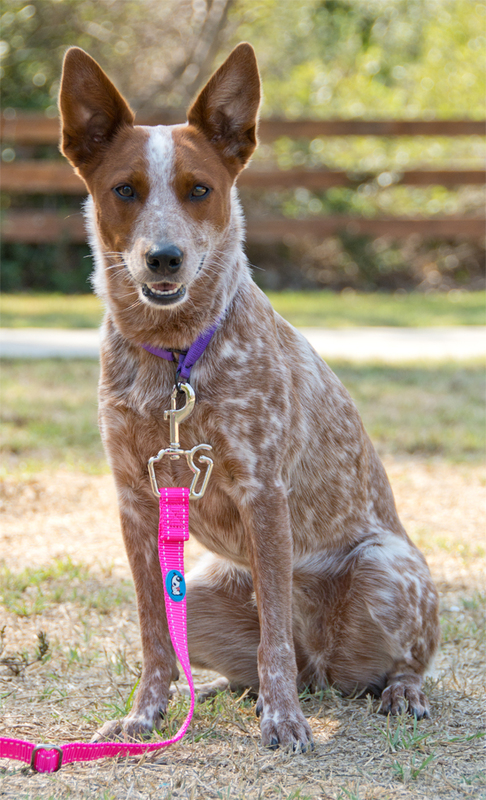 The standard ThunderLeash is currently available in five solid colors with reflective stitching, and there is also a retractable version. The ThunderLeash uses chest compression to help the dog learn to walk nicely. The dog controls the pressure, the more they pull the tighter it gets. The leash wraps around the dog, and is held in place by the specially shaped leash clip. 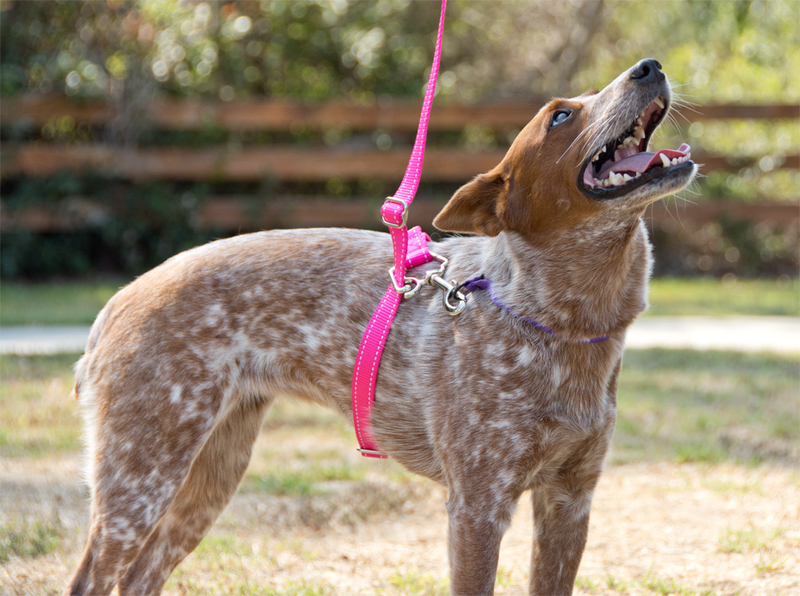 Two metal sliders prevent the leash from getting too loose or too tight around the dog's chest. This whole assembly slides on and off very easily. There are a number of other products that use chest compression to reduce pulling, and each is a little different. The ThunderLeash is definitely easier to put on than the Freedom Harness or the Harness Lead. It's much sturdier than the Instant Trainer Leash. It stays in place a lot better than the leash wrap. But does it work? Annie helped me test this one because she is an extremely devoted puller. I had heard from a couple of people with larger dogs that said it didn't work very well for them, but maybe we had different expectations. It totally worked for Annie. The leash doesn't teach or encourage loose leash walking, but it does reduce pulling to a manageable level. Pros: Comes with a money-back guarantee, so it's worth trying just in case it works. Simple and easy to use. Can be used as a regular leash and converts instantly. Works well on many dogs. Cons: The hardware on the leash for dogs over 25 pounds is quite large and heavy. Godzilla is 28 pounds, and it's a bit heavier than I'd like to use on her. Bottom Line: The guarantee means it's worth trying. I'd like to see them make a medium size with lighter hardware, though. This is in humane. It is just as bad as prong collars, choke chains, head halters, shock collars and other aversives. You are training the dog not to pull by causing them discomfort and even pain when they pull. This is NOT a positive way to train your dog. It looks like something out of ‘The Dog Whisperer’. It is barbaric. Product Review: It's the Pooch Selfie!